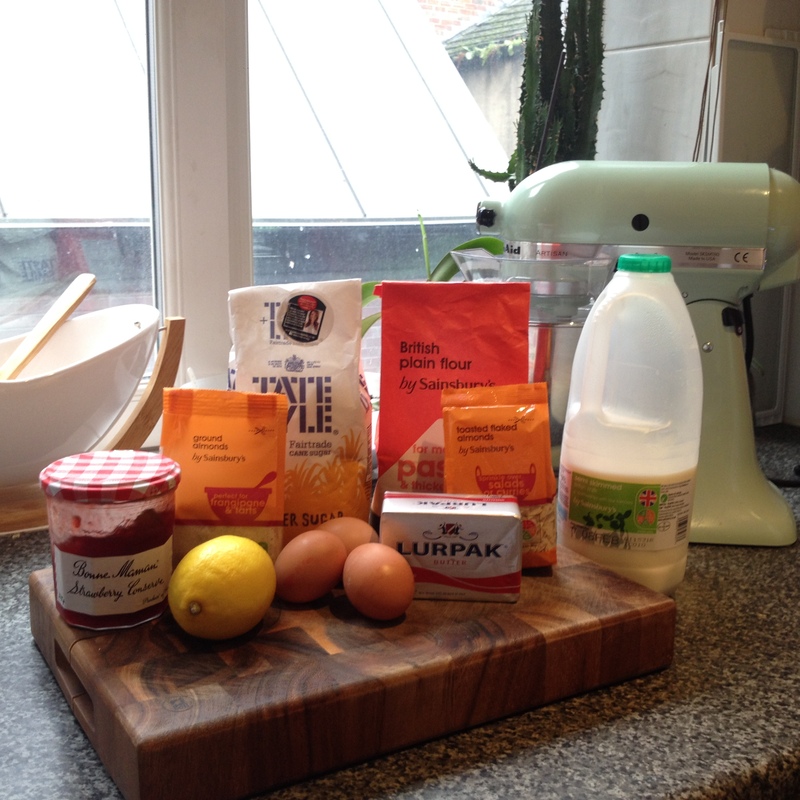 I had a go at making some last week….it was both disastrous and triumphant! I did quite a lot of baking last weekend and these were last on the list for Saturday. We had plans in the evening to go out with some friends and as usual my horrendous ability to keep time came in to play. I was so convinced that I had time to shower, get ready, bake and get some tea on the go that I ploughed ahead with it all anyway……I didn’t have time. I really didn’t. So, im drying my hair, eating my tea, finishing off my make up, getting my outfit sorted and viola! From PJ party to dancing the night away ready before I know it! 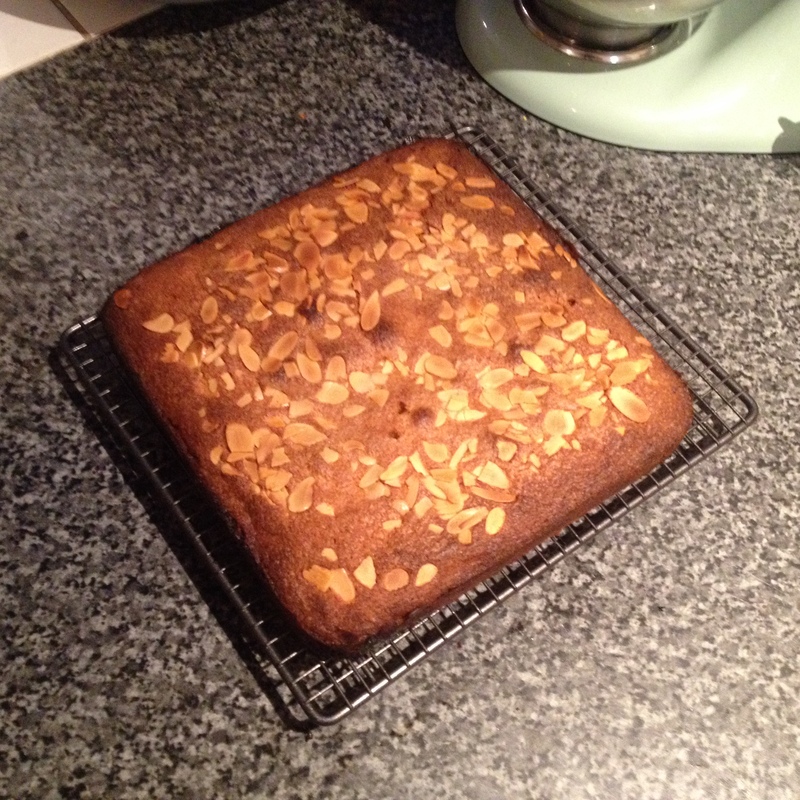 By this point 20 minutes has past and I decide to remove my almond slices from the tin, they look great…..until disaster strikes! 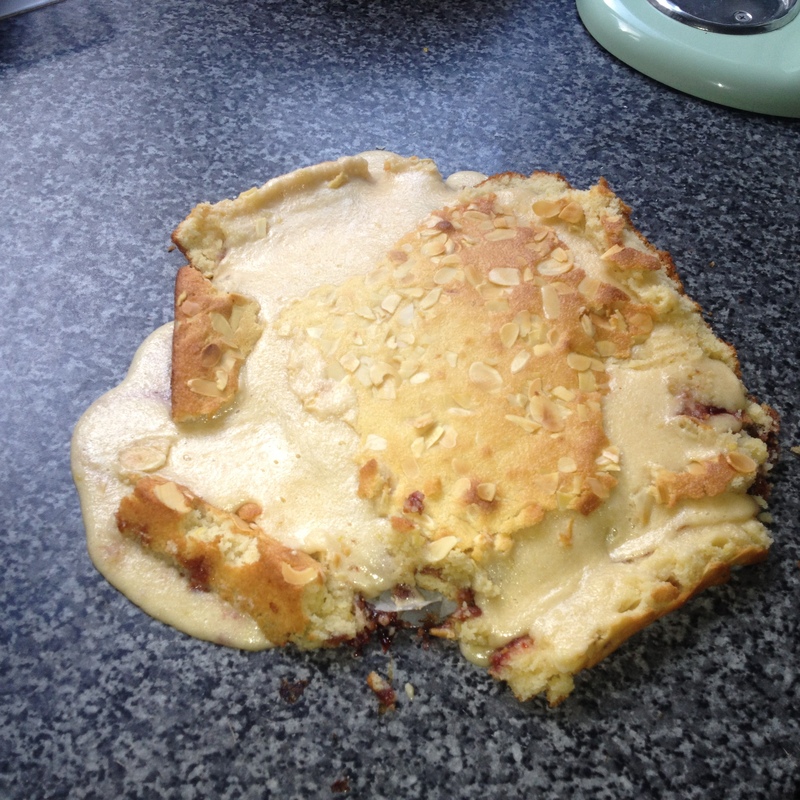 Realising that its not just my eyes playing tricks and that sides of the bake are actually ‘slipping’ away from the cake, I start shrieking and flapping whilst Dave in a very concerned manner, rushes to my aid to see what’s wrong…..this is what was wrong……. Ha!! Oh dear, it may have looked amazing and smelt super yummy but in my haste to get ready I had skipped the testing of my bake. It was SO uncooked in the middle that I couldn’t help but laugh! 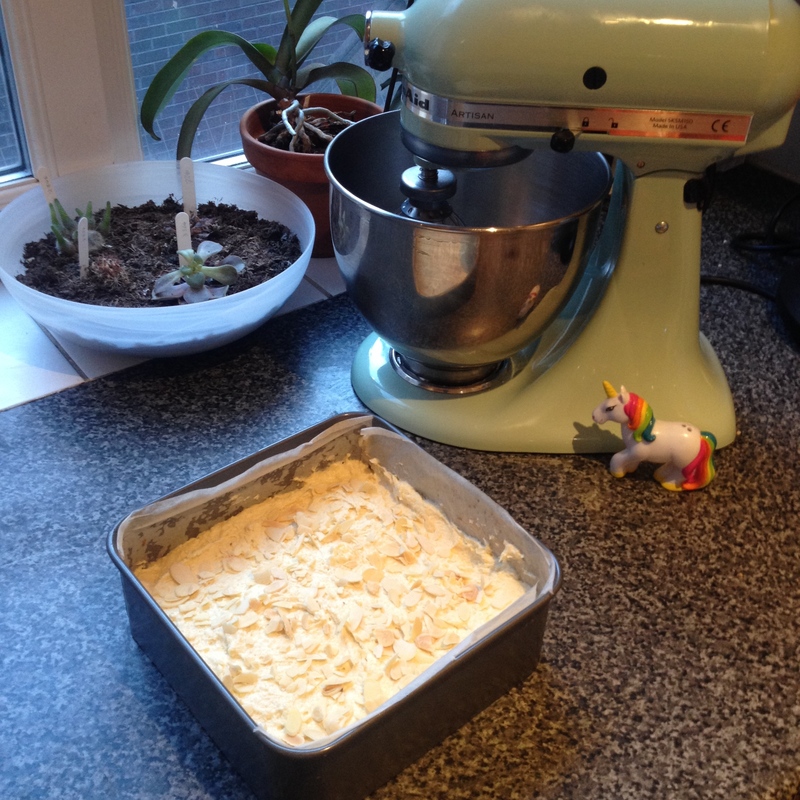 Turns out id put the timer on 20 mins instead of 50…..don’t ask, no idea….that will teach me for next time…..
1. For the pastry, place the flour, butter and sugar into a food processor and pulse until the mixture resembles breadcrumbs. Add one of the eggs and pulse until the mixture comes together to form a rough dough. If the dough is too dry, add a bit of milk. 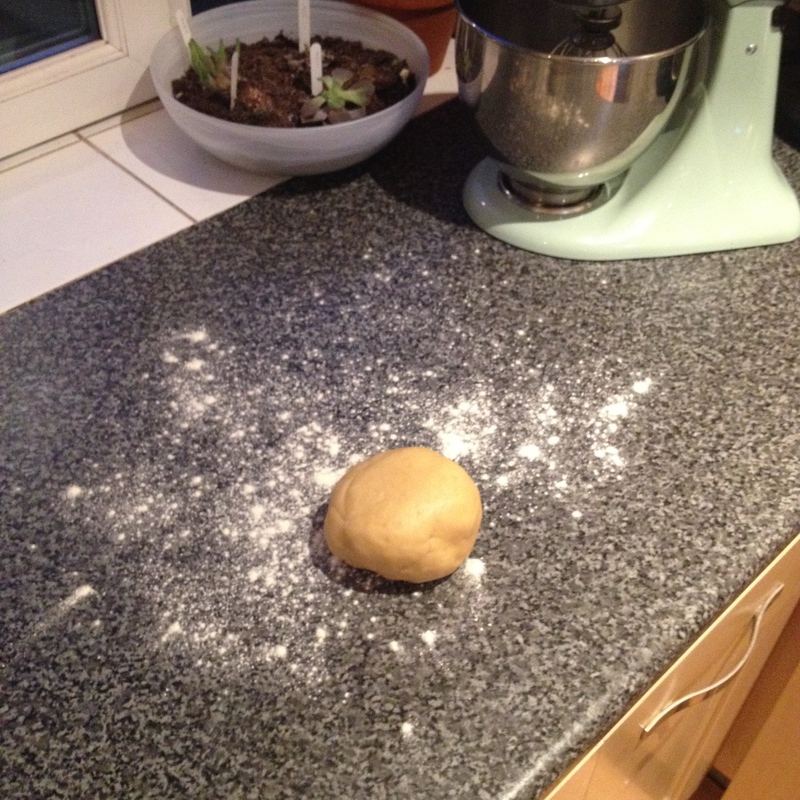 Shape the dough into a ball and wrap in cling film. Chill in the fridge for 20 minutes. 2. Unwrap the dough and discard the cling film. 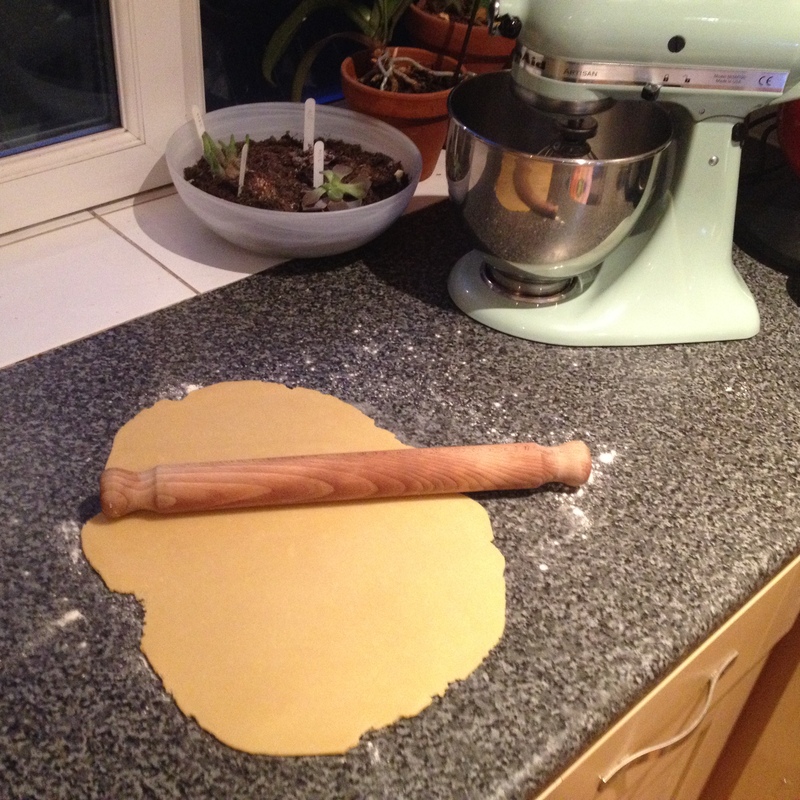 Turn the dough out onto a floured work surface and roll out until large enough to line a 30x20cm/12x8in cake tin. Line the tin with the pastry, then place into the fridge to chill for a further 30 minutes. 4. 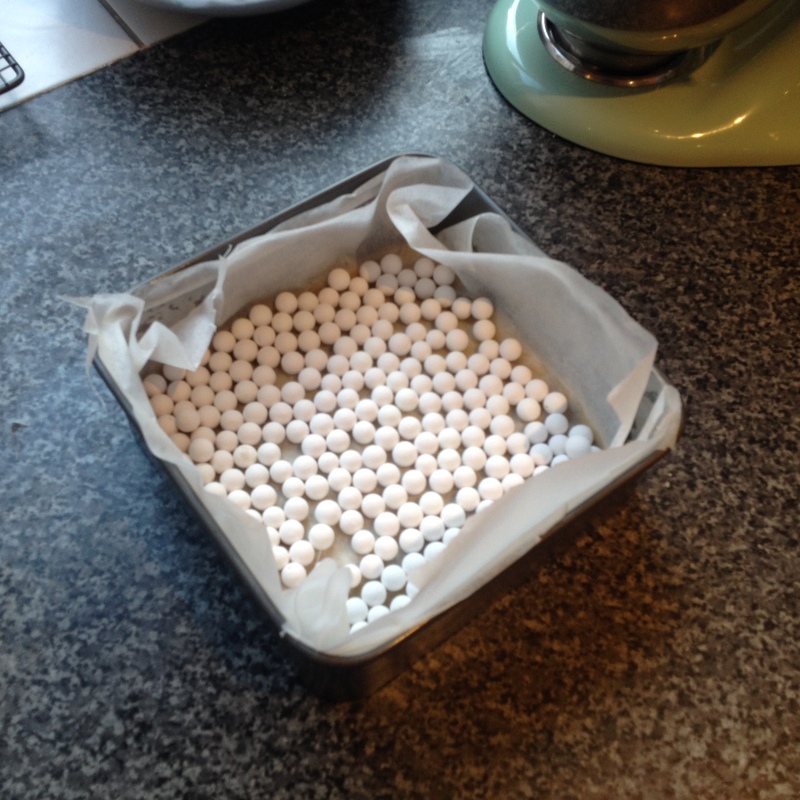 Line the chilled tart case with a sheet of greaseproof paper and fill with baking beans. Bake for 15-20 minutes, or until the pastry is lightly golden-brown. Tip: Make sure you definitely use the baking beans to weigh your pastry down otherwise you will end up with lumpy pastry! 5. Remove the paper and beans and brush the pastry all over with the remaining beaten egg. Return the pastry to the oven for a further five minutes, until golden-brown. 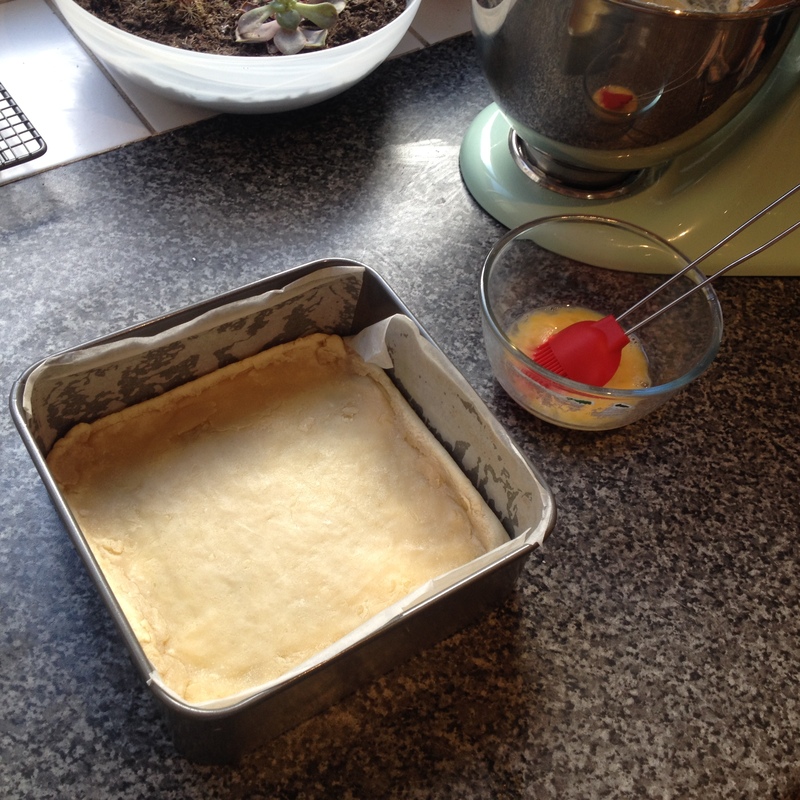 Remove the pastry from the oven and turn the oven temperature down to 180C/365F/Gas 4. 6. For the filling, beat the butter and sugar together in a bowl until pale and fluffy. Mix in the ground almonds, then crack in the eggs one at a time, beating well between each addition until smooth and creamy. Fold in the lemon zest and the flour. 7. 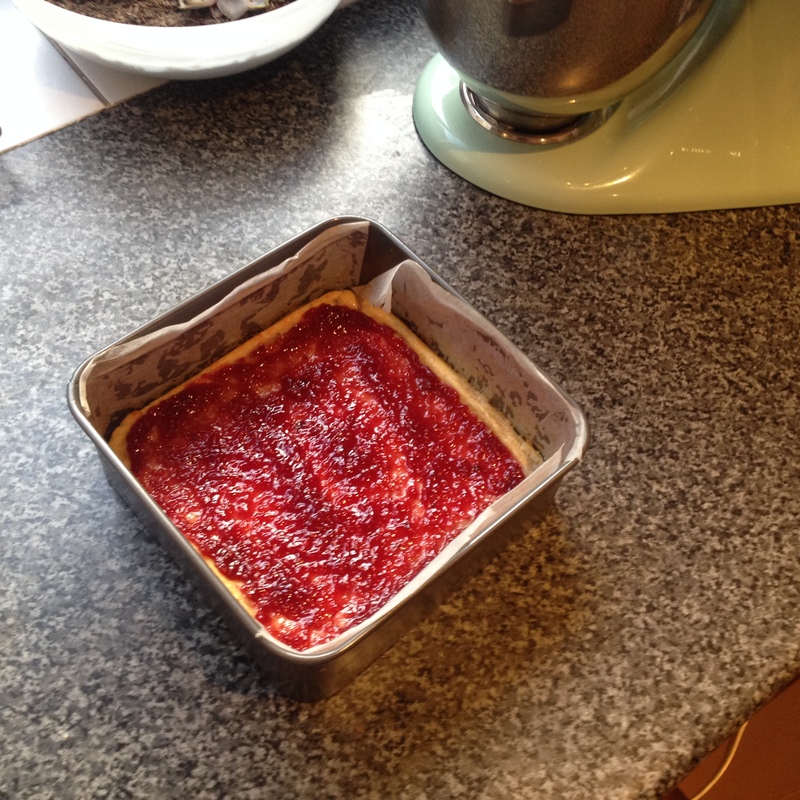 Spread some of the raspberry jam generously across the base of the pastry, leaving a 2.5cm/1in gap around the edge. 8. Pour the filling mixture over the jam, spread for an even surface and sprinkle over the flaked almonds. 9. Bake the tart for 50 minutes (check after 40 mins), or until the filling is set and golden-brown. Allow to cool in the tin before serving. 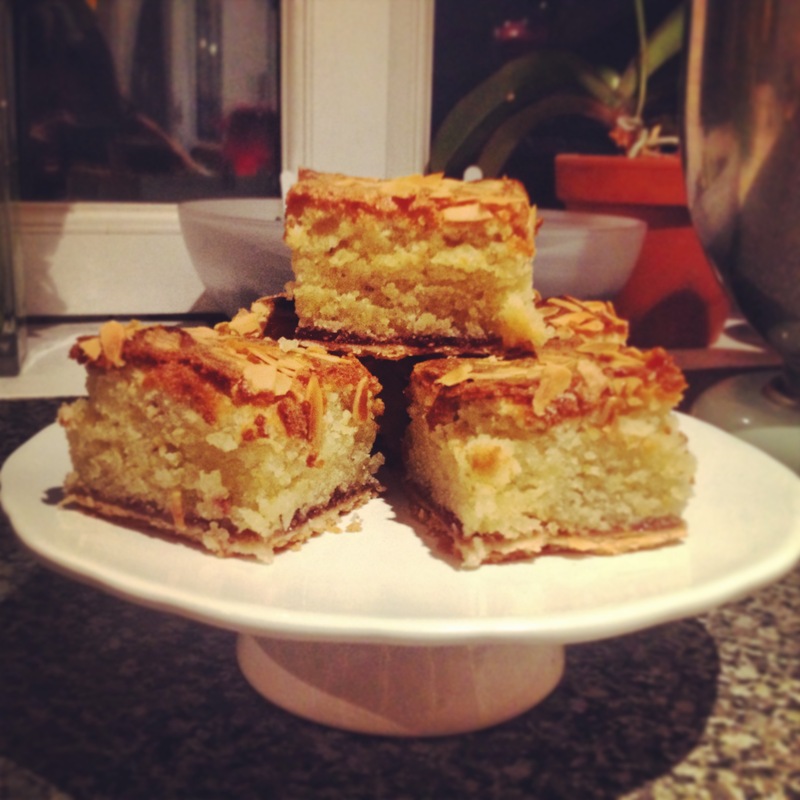 This entry was posted in Tray Bakes, Uncategorized and tagged almond slices, almonds, bakewell, bakewell slices, Jam, tray bake by stephandpenny. Bookmark the permalink. Looks gorgeous! I have never used baking beans to weigh down pastry dough before…can I use something else as a substitute since I don’t have any? Ok, thanks for the tips, Steph! I will let you know how it goes. 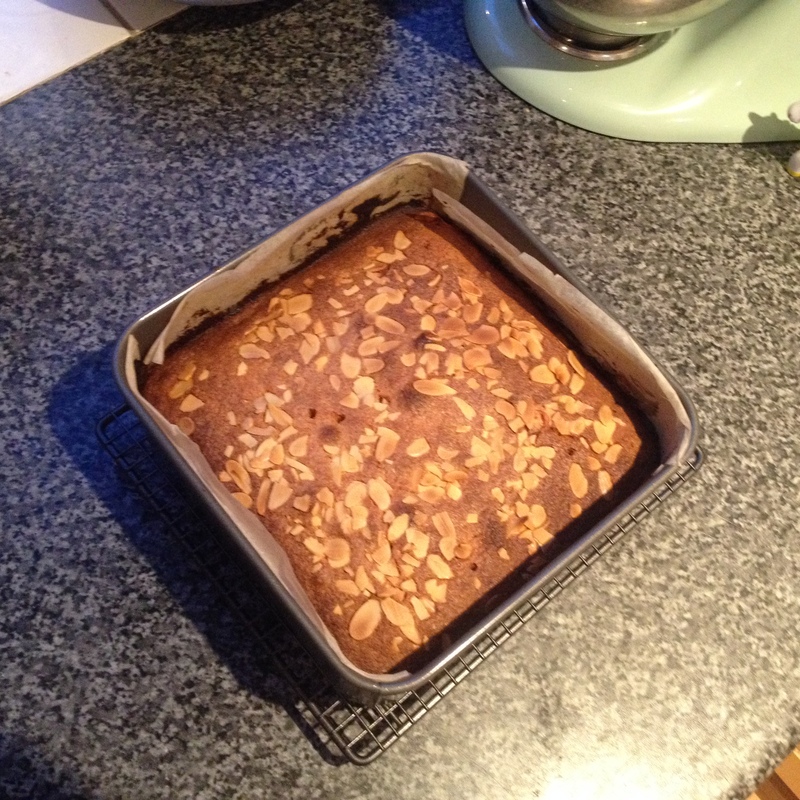 This sounds delish… Almonds & baking are always a winning combination! Thanks for stopping by my blog and liking my recent post.